In ABC’s of Lighthearted Living, My Prescription, Dr. Maggie shows us how to achieve better health through a higher level of happiness…and that Happiness is really a CREATED attitude! Twenty-six alphabetically arranged proven principles leave you laughing, inspired, confident and more connected – to your inner feelings and to those around you. Packed with moving stories of those who have overcome seemingly insurmountable obstacles to achieve great joy – stories gathered from Dr. Mears’ 30-plus years as a physician of Internal Medicine – ABC’s of Lighthearted Living offers a profound message of hope for anyone struggling to find fulfillment in a challenging world. In this alphabet, A is for Attitude and W is for Wow. Dr. Mears’ ruminations on such apparently simple truths reveal the immense power of transformation inherent in all of us. ‘Nice work! This book is filled with truth, heart and wisdom which can help you survive life’s many difficulties.” – Dr. Bernie Segel, author of Love, Magic and Mudpies and 36 Prescription for the Soul. Internal Medicine physician and Hospice doctor in Phoenix, Arizona, Dr. Maggie Mears has won acclaim for her approach to healing the “whole person” as well as distinct symptoms. 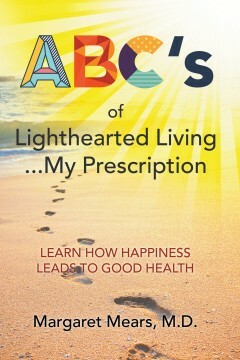 ABC’s of Lighthearted Living arose out of the unique connections she developed by listening to her patients – a dynamic that revealed the dozens of inspiring anecdotes that form the basis for the book. Mears is also the founder of Write From Your Heart TM, a creative writing workshop in which participants blossom as they discover the healing power of writing. Born and raised in the Carpathian Mountains Cami had the privilege of the teachings of historical lessons of the elders and the privilege to understand and learn about the Power and Healing Properties of Plants and Herbs since childhood. Growing up, there was never a memory of ever getting a cold or having any allergies, there was always many kinds of homemade syrups and teas. Every time our feet got wet or we came in the house frozen from walking a mile back from school in the snow, there was always a natural organic elixir or tea to boost our immune system. At the age of ten she contracted a form of hepatitis, that year was one of the worst years of her life. She was in and out of the hospital getting sicker with other illnesses, more than any child should bear. But it was not until she left the hospital with her Grandmother’s care and the homeopathic remedies finally cured her. This was the year when Cami really gained a serious interest in the herbal remedies. Over the next decade she often gave herbal remedies to friend’s to cure different ailments. There was always great praise for helping and the request to please write down all the herbal knowledge but school and life kept it in her head. At the age of 25 while overexerting herself between medical studies and work, Cami collapsed. This time a more powerful hepatitis. Laying in the hospital in a coma for 46 days, when she finally opened her eyes they told her that the hepatitis case was very dire and her liver was in the last stage. The Doctors gave her few days to live. She left the hospital to go home and live out her final days. On her death bed but under the care of an Guardian Angel, who rushed around to gather natural plants known for helping liver disease and hepatitis, shortly after Cami arrived home she was cured through homeopathic remedies. 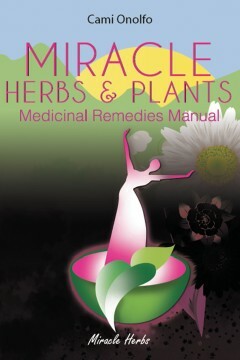 Today, Cami is living proof that herbal remedies are the Miracle Herbs of Nature and God. All you need is to believe and have patience. Most of the herbal medicine takes a little time to work but there are little to no side effects.